Belmont Alumnus, Brandon Maxwell, speaks at Chapel at Belmont University in Nashville, Tenn. October 9, 2017. 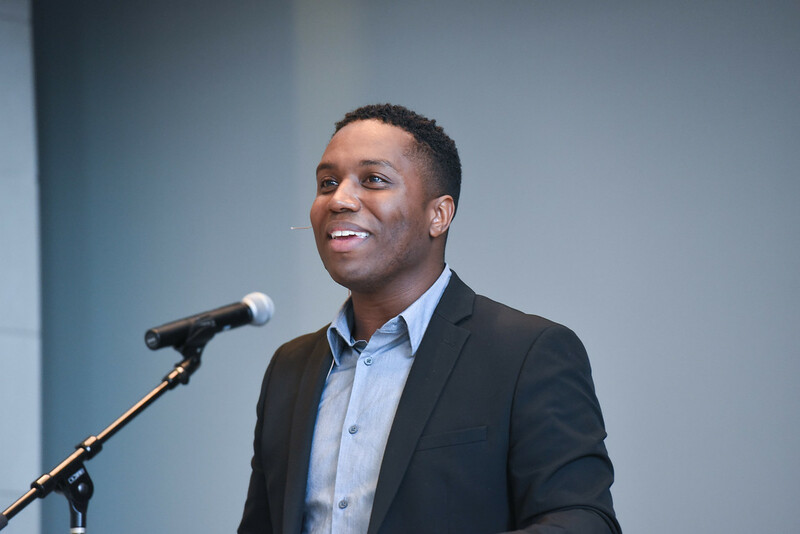 Brandon Maxwell, a 2009 alumnus who double majored in business and religion, earned more than a few “Amens” Monday morning as he kicked off Belmont’s Justice & Missions week with an impassioned plea for a 21st century Jesus Movement. Basing his sermon on Paul’s letter in 2 Timothy encouraging his younger brother in the faith, Maxwell focused on the line, “I remind you to rekindle the gift of God that is within you” and its relevance for Christians today in light of the United States’ racial inequities. Maxwell opened with a photo of activist/author Rahiel Tesfamariam from when she was arrested at a protest on the one-year anniversary of the Michael Brown killing in Ferguson, Missouri. At the protest, Tesfamariam is wearing a T-shirt that declares, ““This Ain’t Yo Mama’s Civil Rights Movement.” Maxwell argues the phrase honors ancestors in the Civil Rights movement without romanticizing or idealizing their accomplishments. In fact, rather than the male, Christian and straight leaders of the past, Maxwell believes “This struggle is decidedly young, communal and invitational,” pointing out that Black Lives Matter was started by three black queer women. Maxwell, who also received a Master’s of Divinity from Emory University, currently serves as the dean of students at Columbia Theological Seminary and the pastor of worship and spiritual formation at Park Avenue Baptist Church in the Atlanta area. Additional Justice & Missions-themed events are scheduled throughout the week, including a fair on Wednesday for students to find additional ways to get involved in their communities. Check the campus calendar for more details.